CES 2012 – Where’s the Beef? LAS VEGAS — With Apple strikingly absent from this year’s CES, and with Steve Ballmer making Microsoft’s swan song at the world’s largest tradeshow, I had tempered expectations as I touched down in Vegas. And the show is delivering on that expectation: small, incremental improvements to things like TV and tablets. Nevertheless, every tradeshow has a few golden nuggets. Here’s what we uncovered opening day. Content Consumption and Co-viewing. People are watching more TV than ever before. That consumption is the result of co-viewing (or multi-screen viewing) on tablets, smartphones and an increasing number of “ultrabook” options. Smart TV. Executives from LG and Best Buy acknowledged that 40% of TVs being sold in stores today are connected, with projections of 90% by 2015. The smarter the TV, the more social the viewing experience. The more social the viewing experience, the more integration points for brands. Communications Planning. Demographics are out. Contextual relevance is in. Also, media flowcharts are killing digital’s ability to make smarter, faster connections with consumers. (Why? Because it’s a line item that’s easy to cross off!). Industry must find a better way to present media plans. Mobile Strategy. Business goals are different when your consumer is in the kitchen versus the store. Location awareness must factor into the strategy. 3D Everything. 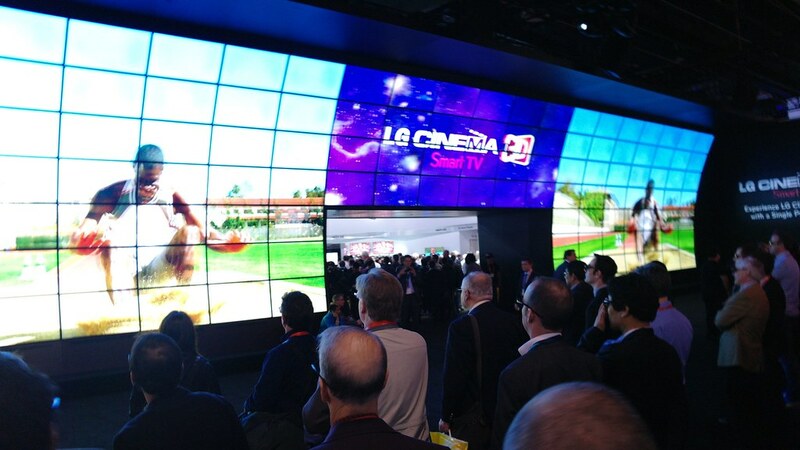 Last year there were just a handful of 3D enabled TVs on the showroom floor. Today there are hundreds. Implication for brands: how can your product experience reach out and touch someone?